Organic wool means wool from certified organic farms. 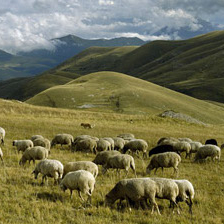 In these farms sheep feed on organic food and are treated with natural products (homeopathic and phytotherapic); in one hectare of land you can raise a maximum of 13 animals, even the stables must ensure adequate space and access to open spaces (there are therefore specific European Union rules established in the Ministerial Decree of 2000). 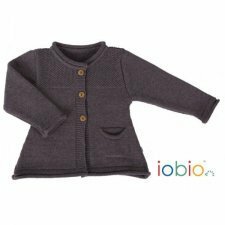 The organic wool therefore certifies the type of breeding in which it was produced. Natural wool, whether organic or not, is untreated wool with chemical agents in the processing and production phase up to the finished product. The natural wool thus obtained is rich in protein and has a composition similar to that of human skin. 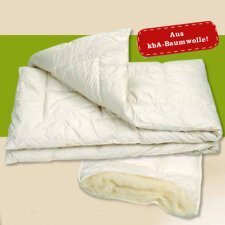 Natural wool has unique characteristics: it maintains constant heat, is very transpiring and regulates the wet (it is able to absorb liquids up to a third of its weight and release them outwards). Among the various types of wool deserves to be applied the organic merino wool widely used by our producers, this wool has particularly fine fibers from which we obtain a very soft to the touch fabric, thermoregulator and very breathable. Pure hand wash, in the moist state in shape pull. Hand wash in cold water. A new, lightweight new wool jumper by disana. Very simple with a classic cut, but unmistakable in its quality and design. With our new plain-coloured knitted pullover we wish to show that Merino wool doesn’t always have to be heavy and warm, but also fine and wonderfully lightweight. 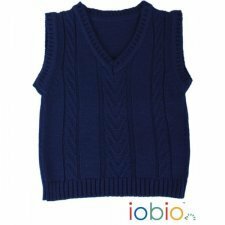 After all, we created it to be worn in rooms with temperatures above 68 degrees °F – in the class room, at playschool or while playing at home. Colours: green/blue melange, plum/rose melange, blue/navy melange or curry. Beanie made from 100% organic merinos wool. A knitted beanie like no other. 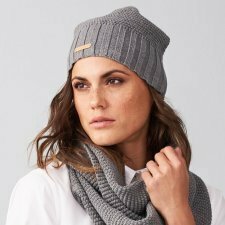 Thanks to its soft half cardigan stitch the Disana beanie is especcialy elastic and pleasant to wear. 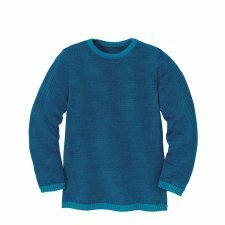 It is made completely from new Merino wool and it is knitted from three threads, which makes it particularly warm. 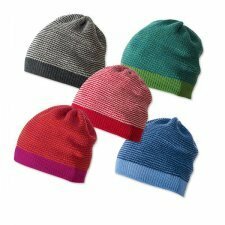 The beanie also comes with a fine, knitted-in partial lining that doesn't irritate the skin on the forehead or the temples. Available in blue/navy melange, green/blue melange, plum/rose melange or anthracite/grey melange. 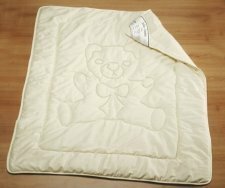 No other item provides a greater feeling of warmth and safety than our pure Merino wool baby blanket. Of all our products, it is in this beautiful knitted masterpiece that pure, natural wool with all its great properties really comes to the fore. It is as light as a feather yet forms a protective barrier around your child. 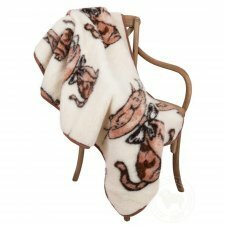 It is cuddly and warm, yet also balances out the temperature. It is soft and fluffy and stands up to fun and games. 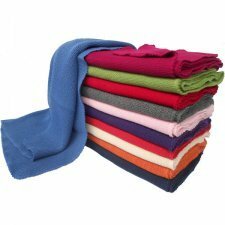 Anyone who has ever stroked our disana knitted woollen baby blanket will share our enthusiasm for organic textiles. The fine openwork pattern can only be knitted using a small number of mechanical devices on our production line. This delightful look is set off by an elaborate scallop stitch along the border of the blanket. Colours: natural white, grey, old pink or light blue. 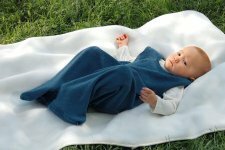 Blanket for cot soft, outer fabric made ​​of 100% organic cotton and the filling is made ​​of 100% organic wool. 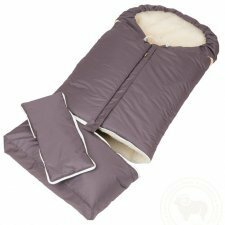 The sheep's wool is breathable and allows an excellent thermoregulation, is able to absorb 30% of its weight in moisture without being wet thus ensuring a healthy sleep.